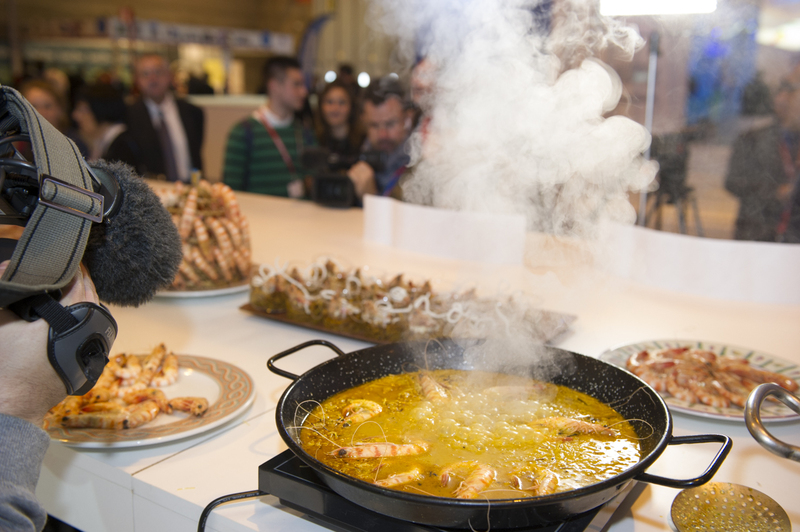 Madrid Fusión is one of the great gastronomic events in Spain that brings together national and international chefs, journalists and food companies. It is one of the most important conferences in the world about cooking and food. Madrid Fusion was held from 27 to 29 January at the Palacio Municipal de Congresos in Madrid. Some congressional figures give an idea of its importance and international projection: Madrid Fusion has had 3,500 visitors daily, of which 150 were foreign journalists in addition to another 500 professionals of national press. There have been 57 international speakers from 15 countries, more than 100 domestic and foreign chefs in total. 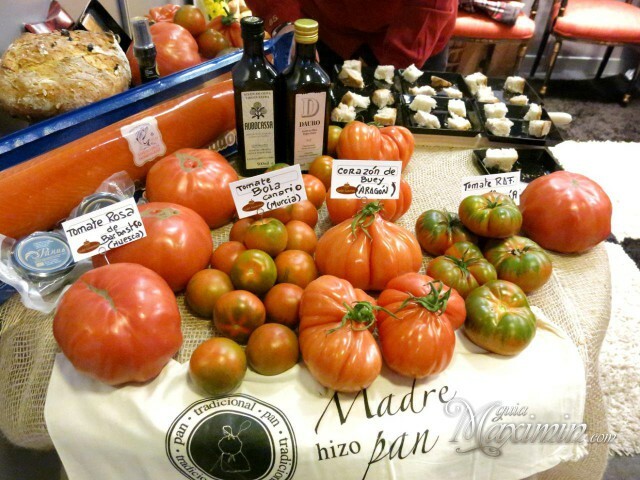 1 – The importance of local products and the binomial restaurant-small producers in the area. This is a growing trend worldwide. This was demonstrated by the chefs from Peru, Bolivia and Chile, which explained their agreements with market gardeners and farmers. 2 – Products of the orchard: a trend in the world of gastronomy, green, healthy and natural cuisine with products consumed directly, without going through cold rooms. 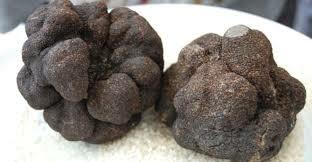 3-: Congress, as usual, held a charity auction of two specimens of black truffle from Soria. Were acquired by Andrea Tumbarello (restaurant Don Giovanni) and the Iberostar group in 3.000 to 5,000 euros each. In addition, the chef from Soria, Óscar García Marina, gave a presentation about the truffle and the soul of the mushrooms. 4 – Great chefs in action. Every big name in Spanish cuisine went through Madrid Fusion to showcase their latest creations: David Muñoz, Quique Dacosta, Arzak, Joan Roca, Eneko Atxa or Ángel León, among others, who dazzled attendees with their edible luminescent bacteria. 5.- Winners: Madrid Fusion holds various competitions, such as the Revelation Restaurant, which went to Montia, (El Escorial) with Daniel Ochoa and Luis Moreno. David Muñoz and Gert de Mangeleer (three Michelin stars each) were chosen as the best chefs in Europe. 6. 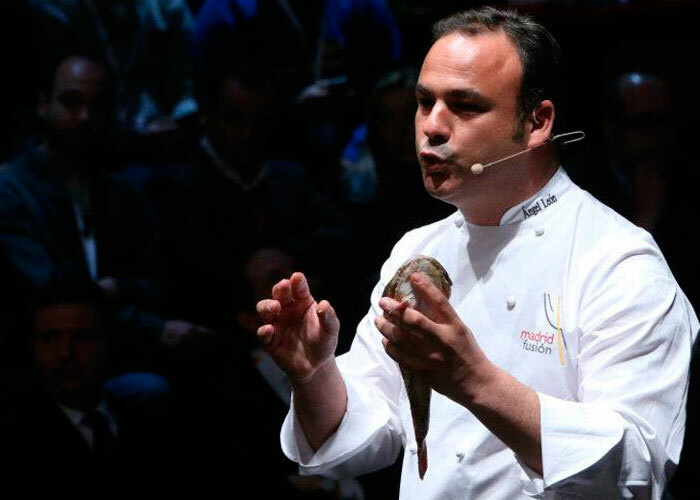 – Vanguard and Tradition: Madrid Fusion is a showcase of the culinary art, but this year has combined the most advanced talks with a tribute to the tradition in the kitchen. 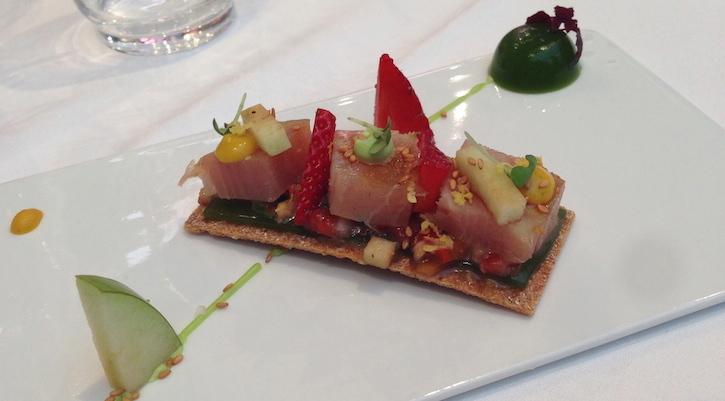 At Madrid Fusion presentations have been added to the Taste of Spain, where great chefs have praised products such as legumes, hunting or cod. 7 – The Bullipedia: Ferrán Adriá and his team presented the Bullipedia, which is guessed as a key instrument for the work of young chefs like a virtual culinary encyclopedia. 8 – Tapas: another trend that is consolidated in the world. One of the clearest examples, the chef José Andrés and his group Think Food Group, who said: “We have to celebrate and be proud of where we come from”, claiming the Spanish cuisine in miniature. 9 – Design and communication: food processing companies have to be distinguished in order to gain a foothold in the market. This requires not only enough to have a good product: the design and how to position it are vital. 10 – Enofusión. Parallel to Madrid Fusion, where winemakers, restaurateurs, distributors, sommeliers, journalists and fans of the wine culture have shared during these three days is celebrated unforgettable experiences. One of the highlights was the tasting of three wines in the Parker 100 points list. Posted on February 4, 2014, in Festivals, Products, Tapas, The yummy chronicles, Uncategorized, Yummy news. Bookmark the permalink. 2 Comments.